If suggested apps keep installing without user consent, learn how to stop Windows 10 from automatically installing unwanted apps, in this article. Recently, we came across a strange issue on one of our Windows 10 machine. In this case, Windows keeps installing newer apps automatically, without user consent. On this device, we’ve never opened Windows Store. We just switched the local account to Microsoft account and the issue started then. The apps installed automatically appears with ‘New‘ tag on the Start Menu (refer below screenshot). The apps are those which we would not try for ever. So we uninstalled the apps at first instance. But after few sessions, the apps were back and this created an infinite loop, in which apps remained at the last. 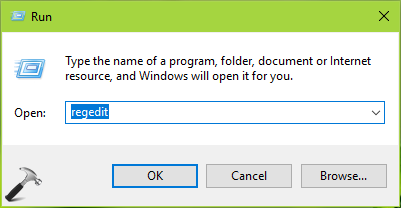 So how to stop Windows 10 from loading these app? Well, if you’re also facing this problem, this simple registry tweak will help you get rid of this. 4. Finally, set the Value data to 1 and click OK. Close the Registry Editor. Reboot the machine. After restarting your system, the automatic installation of unwanted apps should be blocked. [FIX] ms-windows-store:PurgeCaches. Class Not Registered.